For the last number of years, Porsche has been secretly testing its new cars in western Ireland due mainly to its generally poor quality road surfaces and being one of the less populated parts of the country. It is fairly well known that they have been running development mules here but rarely have they been captured up close. 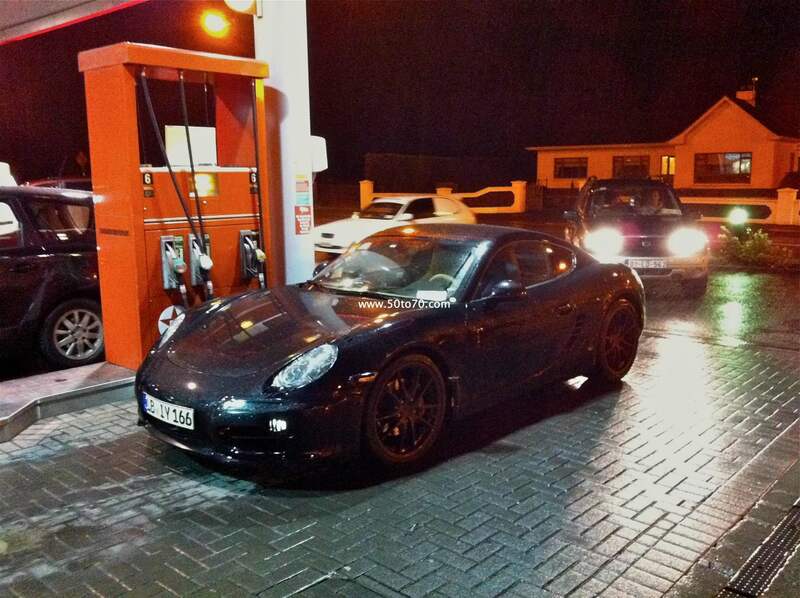 Yesterday evening, eagle-eyed Robert McGrath was quick enough to capture two Porsche’s refuelling whilst testing at night in Longford. The German-registered Cayman & Boxster were disguised, particularly around the bumpers and wore no Porsche badges. As the cars were being photographed, one of the German drivers approached our photographer and attempted to block him from capturing any photographs in close proximity to the car and seemed ‘quite agitated’ that they had been caught on film during the fuel stop. It was too hard to make out exactly what models were being tested, and as soon as their bill was paid both cars left rapidly from the forecourt.